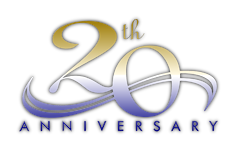 We are celebrating The 20th Year Anniversary of “The Awakening” Stay Tuned for events, contests, and special offers Look for our new “Awakening Life Lessons” series, a life program geared to teach life lessons through the classic series, “The Awakening”. “The Awakening” remains one of the most requested independent series of all time! This timeless drama continues to impact new generations with its relevant message of life choices. Many of you have asked us to bring back “The Awakening” and update it, and we are in the process of doing just that. “The Awakening” is produced by Holywood Studios, a non profit corporation that has always relied on donations and contributions for all of its productions. Please consider a donation of any amount to help us to procure facilities, new equipment, and promotion of our new Awakening materials.